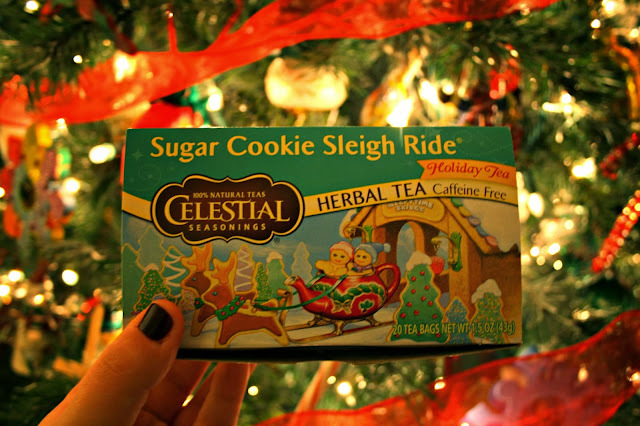 As you obviously know from the title, I'm doing a review on Celestial Seasoning's holiday tea. First off, this tea is AWESOME! You can smell it through the tea bag and it smells just like cookies! It smells more like shortbread cookies than sugar cookies to me. It tastes like you are drinking cookies! hahah It's soooo good. 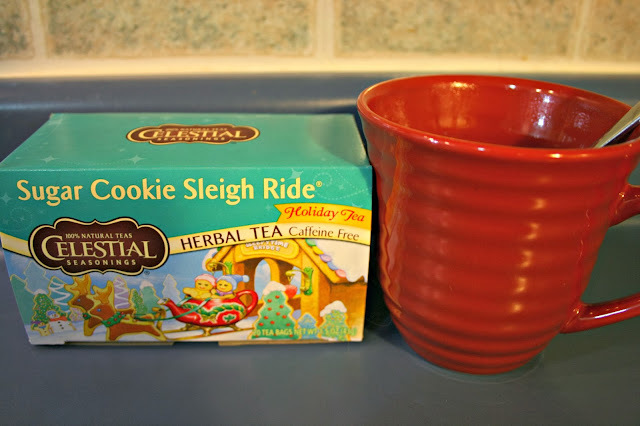 I know that kind of sounds gross to "drink" cookies, but it is really good. Since it's caffeine free, you can drink it before bed with no problem. :) I'm actually staying away from caffeine right now to see if it keeps me from getting bad headaches. I will say though, that shortly after drinking the tea, I got sick. I'm positive that it doesn't really have anything to do with the tea because I had been sick previously. - Smells just like cookies. - Tastes just like cookies. - There are surprisingly no cons other than the fact that I can't drink it anymore because it reminds me of when I got sick. Sad day.